The Spurs center probable to return from hand fracture. 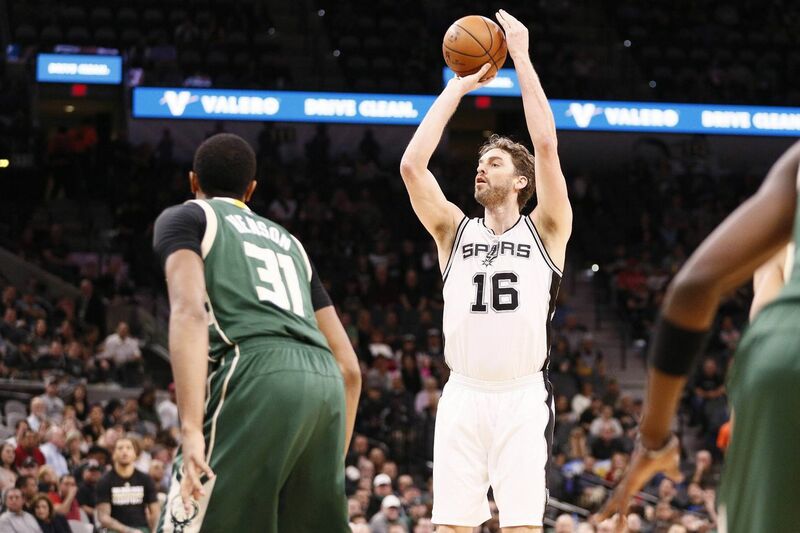 After missing more than a month with a fractured fourth metacarpal in his left hand, Spurs center Pau Gasol has been designated probable for San Antonio’s Friday road game against the Los Angeles Clippers, the Spurs announced Thursday. Gasol was a late scratch against Denver Jan. 19 when he injured the finger in pregame warmups. Later during the game, X-rays revealed the fracture in Gasol’s left hand which eventually required surgery. In Gasol’s absence, the Spurs signed center Joel Anthony to a pair of 10-day contracts before inking him for the rest of the season Feb. 12. Anthony has played sparingly. Gasol has averaged 10.6 points and 7.9 rebounds per game in the 39 games he has played this season. The Spain native has missed 13 games with the injury thus far. The Spurs have a 9-4 record during that stretch.